I2SL collected ideas and opinions from conference attendees during several open discussions at the Labs21 2009 Annual Conference. View a list of the topics I2SL discussed. As with previous conferences, I2SL made the Labs21 2009 Annual Conference as green as possible. Read what Labs21 Annual Conference attendees have to say about their experience at the conference. 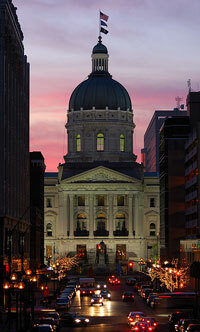 I2SL provided a list of activities and restaurants in the Indianapolis area for conference attendees. Take a look at the information we collected.